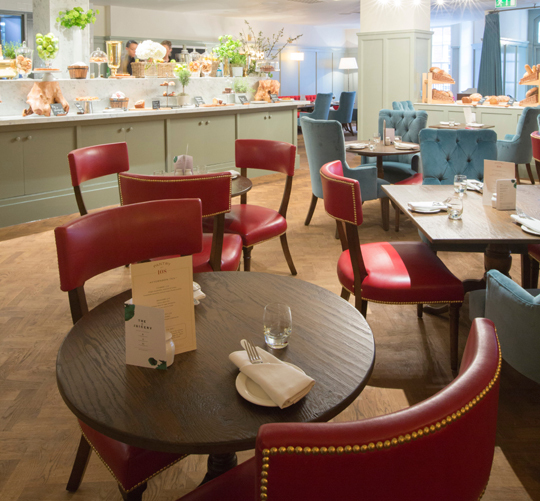 Recently created by Executive Chef, Russell Ford, this is a healthy menu which begins with a selection of sandwiches and salads served on light and fluffy gluten free bread. 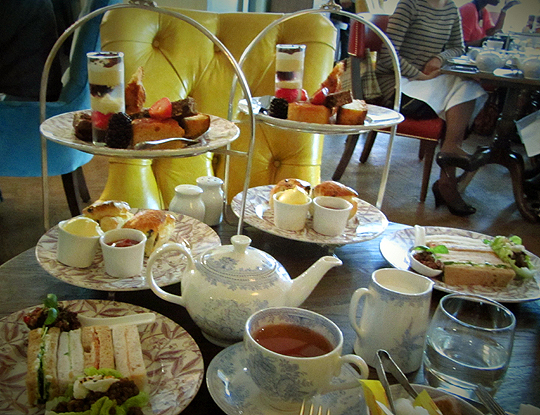 High Tea Society had a lovely afternoon enjoying afternoon tea at Pantry at 108 in the Marylebone Hotel. This is a friendly establishment not far from the hustle and bustle of Oxford Street London and the perfect anecdote from a day’s shopping. 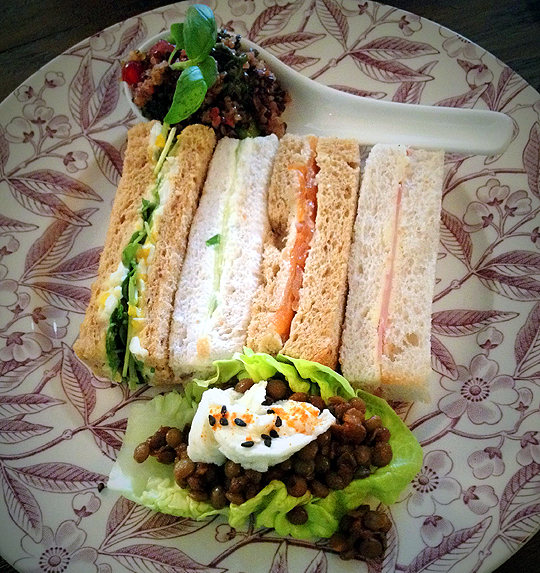 We were there to sample Pantry at 108’s latest gluten free and healthy afternoon tea. Recently created by Executive Chef, Russell Ford, this is a healthy menu which begins with a selection of sandwiches and salads served on light and fluffy gluten free bread, some of the softest and freshest bread of its type that we have tried in London. Along with sandwiches that included cucumber with cream cheese, smoked salmon, egg, and ham, we were also served buffalo mozzarella with spiced lentils and rocket salad along with a delicious quinoa salad. These went well with the Rare Tea Company Darjeeling and fragrant Earl Grey teas which were refilled when needed. 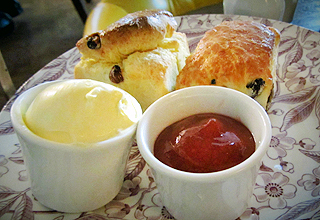 Feeling virtuous, we moved onto the gluten free scones with clotted cream and fresh homemade strawberry jam. For us, these were the highlights of the afternoon tea – their lightness made them indistinguishable from normal scones, a rare feat. The jam, delicious. For our final course, we were treated to a selection of gluten free cakes which included coconut and date, pomegranate and banana along with blueberry and coco, a flapjack and a delicious elderflower trifle. These were also served with seasonal berries which went down nicely. To complement what was a relatively healthy afternoon tea, we were able to choose from a selection of juices and smoothies from The Juicery, many made with superfoods and well needed given London’s recent daily forecasts of four-seasons-in-one-day. Taking design inspiration from the Edwardian history of The Marylebone Hotel, the light-filled interiors at The Pantry at 108 convey a welcoming and sophisticated feel through the use of 19th century inspired furnishings, contemporary fabrics in vibrant colours and traditional materials such as painted panels, timber flooring and marble. One of our party arrived early and enjoyed a selection of magazines in comfortable surroundings sipping on a juice made with rose water and berries. Pantry at 108’s service was fantastic. Our waiter was friendly and knowledgeable. We appreciated his enthusiasm for the menu and the stories behind each of the teas served. All in all, we had a great time at Pantry at 108 and will definitely return. We liked the enthusiasm of the staff for their menus, the light and airy décor and the effort that they have put into their gluten free offerings. 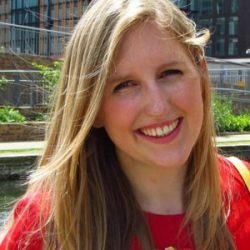 We would recommend this venue for gatherings of the girls (perfect for a classy hen party or baby shower) or just a quiet break after a shopping spree in nearby Oxford Street. The food was of great quality with a range of choices including gluten free and dairy free. The Rare Tea Company tea was provided with a selection of six including Darjeeling, Earl Grey, Assam, Berry Hibiscus, Lemon Verbena and Chamomile. One could easily visit The Pantry in a nice dress or jeans and not feel out of place. 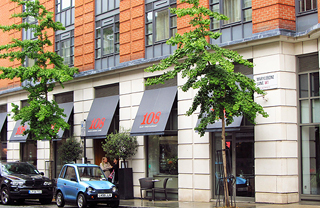 Pantry at 108 in the Marylebone Hotel is a fantastic place to visit after an excursion to Oxford Street or Marylebone. 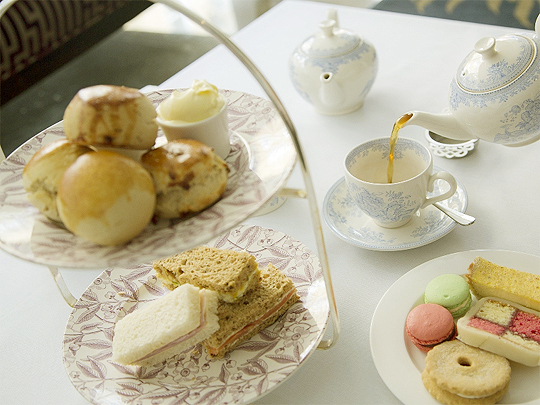 The service is friendly and it is great to see them offering a selection of afternoon teas that take into account various dietary requirements without one having to book in advance. The atmosphere is vibrant and we would highly recommend visiting with the girls or even on a date. Open daily from 11:00am – 6:00pm.